Sandra brings to her professional practice over 25 years of leadership experience in Sales, Client Relationship and Human Resource Management. She has inspired others while managing vision and purpose, and driving for results. Industry experience includes consumer products, market research, retail, post-secondary, utilities and government. Sandra is passionate about creating sustainable workplaces through positive, productive and effective relationships. active thought partner with a keen sense of humour, and an eye for the less obvious. Quickly develops rapport with individuals at all levels and supports them as they work towards their own goal achievement. Mark Karpinka is the Founder of Write My Resume, a resume writing and career counselling company that supports individuals at all stages along their professional path. Mark is a Chartered Professional in Human Resources as well as a graduate from the University of Alberta and MacEwan University. Mark has over fifteen years of Senior level Human Resources Management experience working for private corporations and the Alberta government. Currently, Mark is writing a book about job interviewing, which he hopes to finish and publish by the end of 2017. This 1-day course set out to help organizations already using ISO 9001 transition to the new 2015 edition. The interactive course highlighted the significant changes to the standard and discussed how to manage these changes in our Quality Management Systems (QMS), including the benefits of the changes, options of how to implement them, the documentation requirements and the transition steps needed to upgrade our QMS to ISO 9001:2015. Your ASQ Edmonton team would like to Thank all those who came out to the ASQ Edmonton Quality in Canada – 150 years Conference. 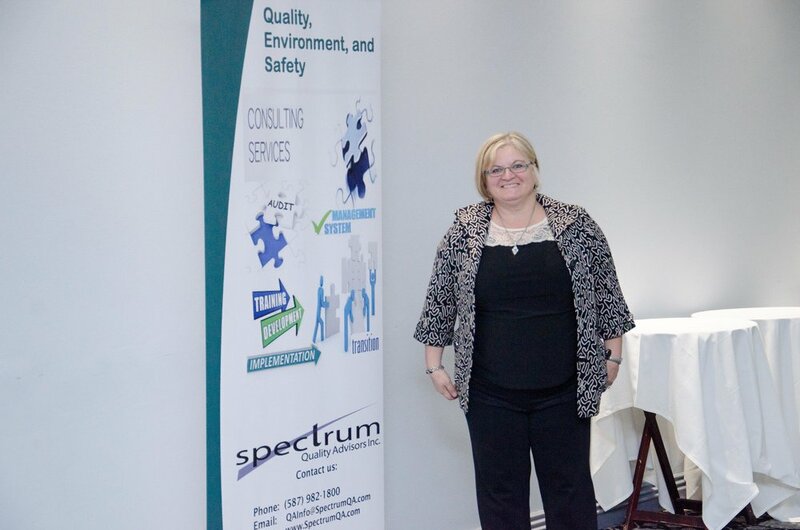 It was an amazing event for Edmonton and Alberta quality professionals. There were a large variety of topics, workshops and speakers during the one-day event leading to increased learnings and great new connections. For added quality to our event, we had many exhibitor’s participation and would like to Thank them for joining us: 5S Lean, BDC, Go Productivity, Quasar CWB Group and Redwood Performance Institute. To put on such a large event, it required a great deal of support. We would like Thank our sponsors: ASQ Calgary, Atco, Cameron, Durabuilt, Enbridge, Fortis, Go Productivity, IPC Protective Coatings Inc., Ketek, Kimber-Lean Consulting Limited and Spectrum Quality Advisors. Many wonderful volunteers contributed to the success of the conference and we really can not Thank them enough for all of their hard work and dedication to the conference and to their team members. As we reflect back on this year’s conference, we would also like to Thank all attendees. The contributions from all who attended added to the richness in the learnings and the new connections made throughout the conference. Quality does not happen by accident, it is through the dedication of all who participate and again we would like to Thank You all for significant additions you made. As this is a bi-yearly shared event with ASQ Calgary, we look forward to seeing you all at our next one in 2019.